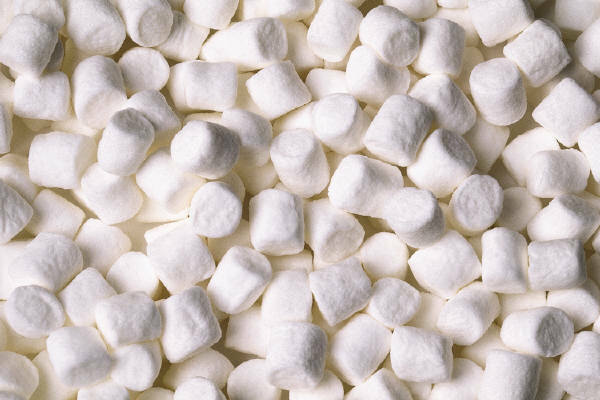 What do marshmallows have to do with success? Dr. Robert Biswas-Diener is one of the positive psychologists, whose work I follow and whose books I read. (Another nerd alert, but honestly these things really do excite me!) He recently sent an email about a famous study with preschoolers and marshmallows conducted in the 1960’s by psychologist Walter Mischel, which led me to a 2009 The New Yorker article about Mischel’s work. Four year-old kids are left alone in a room with a treat of their choosing (marshmallow, cookie or pretzel stick). They are told they can eat the treat in front of them, or they can wait until the researcher returns and be rewarded with more of the same treat. The experiment mimicked short-term/long-term dilemmas we’ve all faced: to eat or not to eat; to buy or not to buy; to say or not to say and to do or not to do. It measured the ability to delay gratification. In follow-up longitudinal studies, guess who had higher tests scores on their college entry exams, and were less likely to use drugs. Yup, the kids who resisted temptation – the 30%, who were then called “high-delayers”. The point of sharing this news, isn’t to urge you to lock your kids, grandkids, nieces, nephews, students or staff in a room with a marshmallow, but rather to share with you how the resisters, resisted. The high-delayers figured out simple ways to help themselves resist the treat. They closed or covered their eyes, or played hide-in-seek under the table, thus reducing or eliminating the sight of the temptation (out of sight/out of mind?). Or, they sang or otherwise distracted themselves. Create physical environments that support our goals. Don’t stock our shelves with junk food when we are trying to improve our eating habits. Leave the credit cards at home when we are trying to cut our spending. When we’re having difficult or stressful moments with our computers, projects, kids, significant others or the car in front of us, we can distract ourselves. We can: hum a song; take a deep and cleansing breath, look into their eyes, keep humourous items on our desk or dashboards to distract us, or get-up, move away, or pull over. Prepare in advance. Give ourselves a break by making lists of distraction options ahead of time so we have lots of go-to choices available. Bottom-line? Never depend solely on will power for self-control; it is seldom, if ever, the best option. The kids, who stared at the marshmallows willing themselves not to eat it, ate it! Mastering our wills sounds good and might be the advice we heard growing-up, but it’s usually not as effective as distancing or distracting. Perhaps it is time to test yourself with a marshmallow or two and see what happens. And, while you are delaying, figure out what works best for you – and remember to do that when it really matters. BTW, I would’ve grabbed the marshmallow before the researcher was out the door! My long list of go-to options got me through undergrad and grad school, being a Mom, hundreds of business meetings, and continues to help me create the life I really want, each and every day.